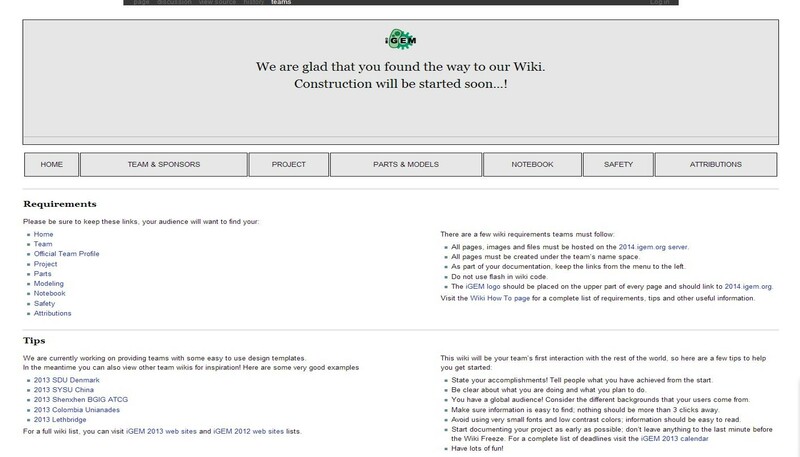 An essential role for the final evaluation of the iGEM projects is given through the team wiki. 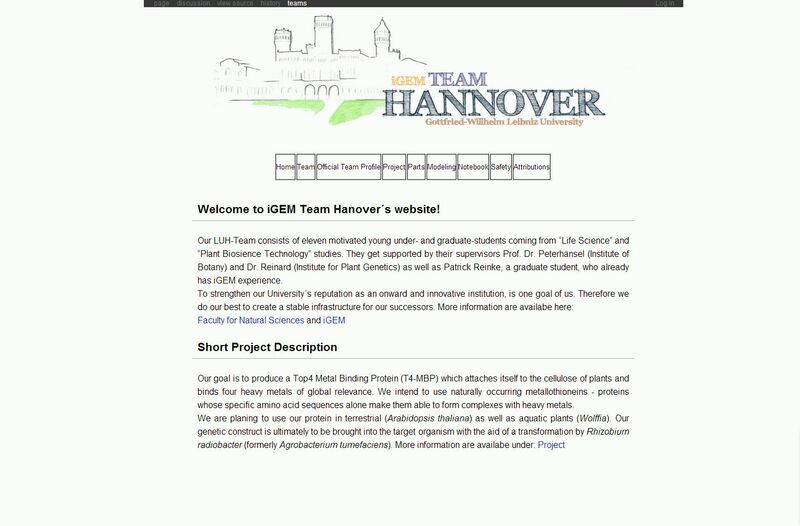 Because of the first participation of Team Hannover we decided to make a wiki meeting. 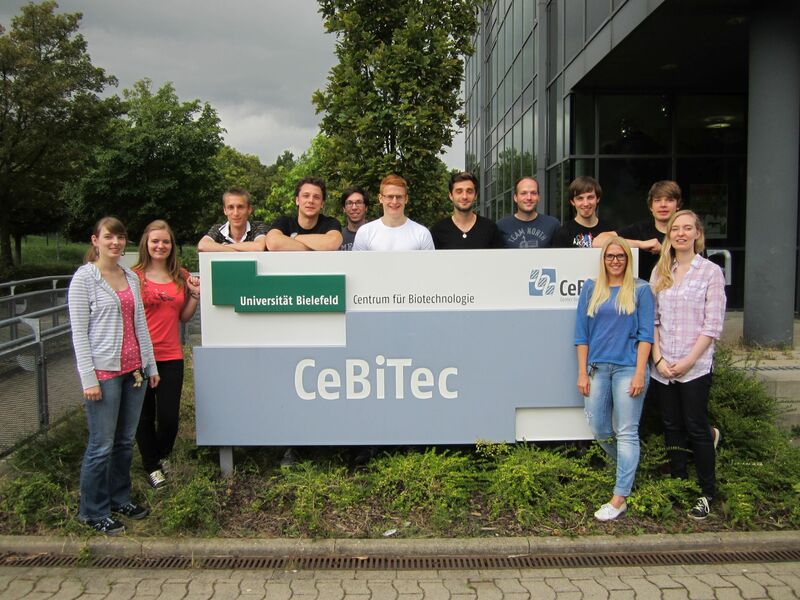 Therefore three team members of Team Hannover visited us at the CeBiTec. We prepared the meeting by creating a small leaflet which we distributed at the beginning. We decided to show them some basics in HTML because we think this is the easiest way to learn how to alter the wiki. One of us demonstrated HTML code examples using the notepad program of Windows. Our whole team and the delegation of Hannover tried to reproduce it. By doing this step by step all of us learned basic strategies in HTML like altering text, creating images or tables and using styles. In between we had a lunch break and were supplied with delicious cake. With new strength we started to modify the wiki itself. We began to structure the existing code by creating style files (.css) and code templates (.tmpl) which were slowly changed step by step. We took care one by one so that the members of Team Hannover could try out their ideas while asking us for help. After this successful session the wiki of Team Hannover got a new appearance and they were pretty happy about the assistance we gave them. 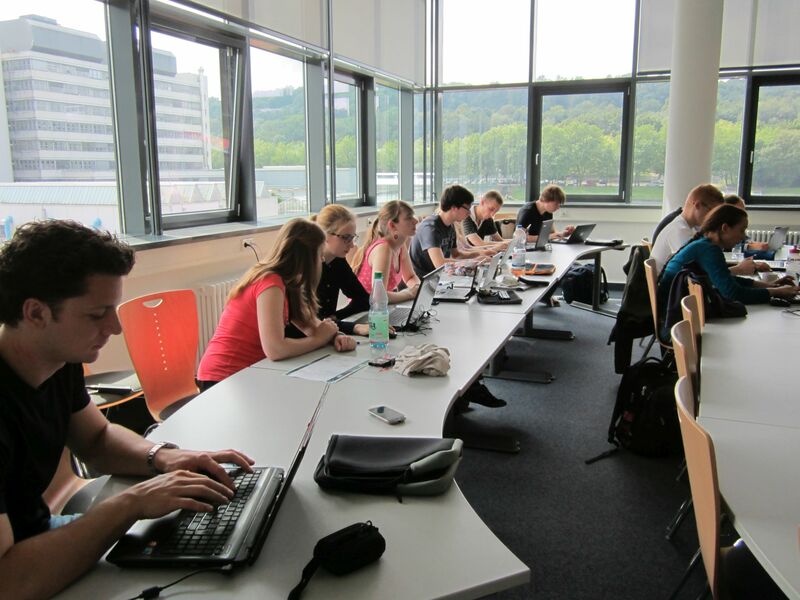 Our team would like to thank Team Hannover too, because it was a very funny day and all of us learned a lot by this practical hands on wiki session. We hope we can help them with any further questions. At this stage we think that any team should profit of our work. Because of this we uploaded our HTML leaflet at our wiki.